Don't letter others have all the style to themselves when you can join the club by wearing Belvedere black ostrich sneakers. Belvedere specializes in making Italian style exotic shoes and sneakers out of nothing but exotic skin leather. The Paulo by Belvedere features Genuine black Ostrich Skin on the top and featuring Hand Made craftsmanship with a full leather lining. 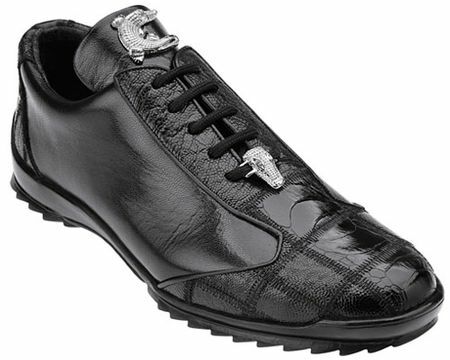 You will get your dollars worth with these beautiful hand made black ostrich skin sneakers.